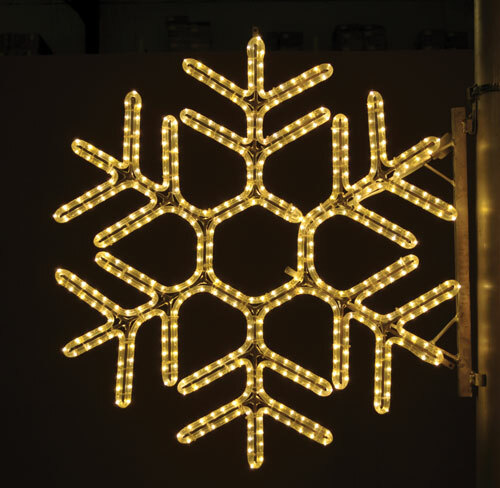 High strength, low power aluminum LED pole mount snowflake decoration display are made with commercial grade lights. Festive 24-foot skyline snowflakes LED light display perfect for hanging across city streets, shopping centers and municipalities. Festive 40-foot skyline snowflakes LED light display perfect for hanging across city streets, shopping centers and municipalities.